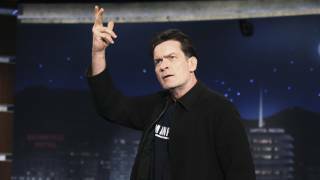 Charlie Sheen, on tour performing his one-man show "Violent Torpedo of Truth," is headed to Radio City Music Hall in New York City on April 8, but where will he stay? The New York Post reports that sources say Sheen is not welcome at many of the city's top hotels, which is not surprising in light of an incident last October, when he trashed his room at the Plaza after partying with a prostitute, just the first of the many outrageous incidents he's been involved in since. "Many of the big New York hotels don't want the drama. He is now looking at renting a private residence," a source tells the New York Post. Sheen's show is set to tour the country, but with his very public outbreaks and antics (let alone his Guinness Book Of World Records-setting Twitter account and his firing from "Two and a Half Men") he's quite a notorious figure now. He also smokes, a no-no at many hotels. None of the hotels contacted by AOL Travel News would give comments about Sheen, citing privacy of their guests.